As a racewalker, I am often asked as to why I racewalk rather than run. In fact I’m quite sure that nearly every racewalker is asked as to why they do what they do all the time. Well firstly, the simple answer for me would be that I am exceptionally good at it and the 2020 Tokyo Olympics is where I am headed. However, what benefit does it have for the average person you ask? It is an excellent workout! Racewalking is a far more strenuous activity than regular walking and burns just as many calories per kilometre as regular running does. If anything, in my experience it is more strenuous than running, as the form is much more limiting than a running form therefore making it less efficient and forcing you to do more work. Still not convinced? Racewalking has a significantly lower likelihood of injury than running. Since the rules of racewalking (one leg must always be in contact with the ground, and the knee must be straight from foot plant until it is directly underneath you) keep you close to the ground at all time, the average racewalker impacts the ground with 1/3 the force a runner does. Due to this, the likelihood of suffering a high impact overuse injury is greatly reduced from running. So racewalking is in summary, same workout, less risk than running. So I have you convinced? Now you’re wondering how to get started. Firstly, you’re going to need a shoe. Racewalking requires a specific minimalist shoe due to its restrictive form. You need a shoe with a thin midsole that keeps your foot close to the ground. This enables you to properly execute the racewalking form and to pass your leg underneath you during a stride and plant your leg straight. Generally any minimalist racing shoe will do, I personally prefer the Mizuno Wave Hitogami, but that’s personal preference. Now that you have your shoes, you need to learn how to walk. For this there is a movie named Walk Don’t Run. With enough careful viewing and a friend to compare you to the movie, you’ll have it before you know it. Who knows, you may be Olympic material too! As a Biomedical Physiology student at Simon Fraser University, working at FitFirst Footwear was a great hands-on opportunity to gain more knowledge on proper shoe fittings and lower limb pathologies. Starting off with a minimal background in the shoe industry, I found the job quite intimidating since I was not sure what to expect. The vast amount of product knowledge the staff had obtained through observing/performing shoe fittings, in terms of the diverse amounts of shoes and their different features, was astonishing. Yes, having a background in kinesiology did help, however, learning concepts in lecture versus having to apply those theories to real life situations was challenging. At FitFirst, I was put through the New Balance Dynamix training program that tested my anatomy, footwear, running and walking knowledge. Before fitting shoes I had to study and earn at least 80% (I got 94% yay!) on the exam before proceeding to helping customers on the floor. The New Balance Dynamix Training Program was a useful tool to familiarize myself in the areas of foot health and footwear selection. It went into great depths about foot function, lower limb anatomy and the biomechanics of both walking and running. The combination of observing fittings and the use of the New Balance handbook aided in becoming synonymous with care, professionalism and consistency as it relates to footwear specialization. 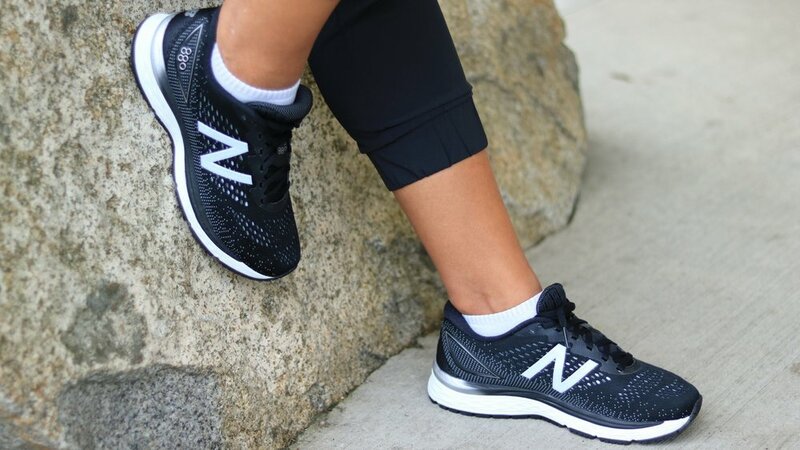 Using the help of the staff and the assistance of the New Balance Training manual, I gradually acquired skills used to identify specific footwear as it relates to common foot conditions. With every staff member certified as fitting specialists, you will be able to trust us to help you find a pair of shoes specific to your needs!